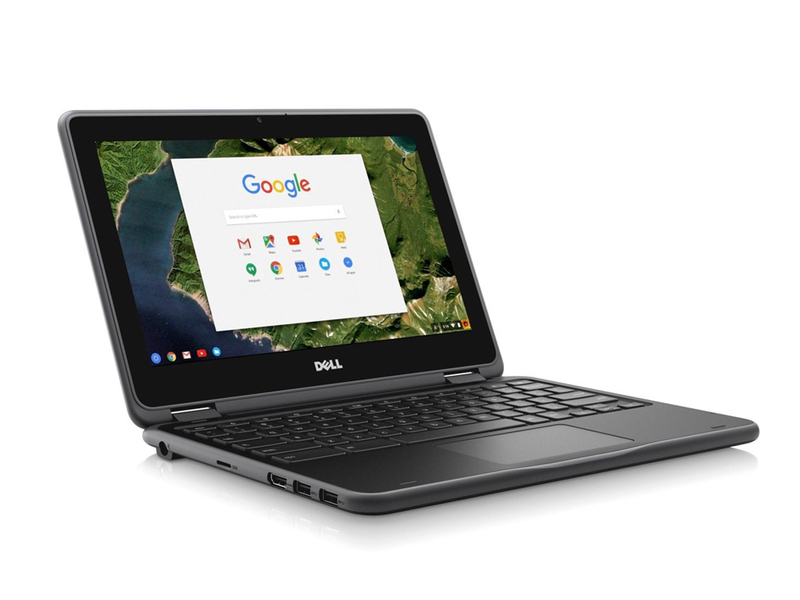 Priced from $239 (£179), the Dell Chromebook 11 offers a durable solution, its spill-resistant keyboard, and rugged design add value to the device and should ensure its ability to survive receiving an education. It doesn’t boast the stylish design and outlandishly high-specs of Google’s Pixel Book, but that’s ok because the 3180 is aimed at students, education facilities, and possibly people like myself who are a little accident prone. With a decent amount of ports including 2 x USB ports, a full-sized HDMI socket, and an audio jack, the only thing missing is an ethernet port, and while I wish it had a better quality display, it’s plenty good enough for what it needs to do. This is part of the Dell back to school/university range. A Chromebook is able to do a lot of things that a Windows or Apple computer can do, it can browse the Internet, collect and send emails and you can these days even store word processing and spreadsheets on it. What it cannot do is run Apple or Microsoft programs. Schools and parents who are looking for a durable Chromebook with solid performance, strong battery life and a comfortable keyboard will find a lot to like in the Dell Chromebook 3180. If you’re in the market for a Chromebook for your child or looking at Chromebook solutions for the classroom, you can’t go wrong with the Dell Chromebook 11 3180. With accessories like the optional mobile computing cart with a space-saving design that makes it easy to charge, manage, and store up to 36 systems at once, and the Google Chrome Management Console, classroom management of the Dell Chromebook 11 3180 should be a breeze. Given the price point, extra features, and performance of this Chromebook, it’s easy to give this a Techaeris Top Pick of 2017. Intel HD Graphics 400 (Braswell): Integrated graphics card in the Intel Braswell series (2016 Celeron) processors. Based on the Broadwell architecture (Intel Gen8) supporting DirectX 11.2. Depending on the processor offers 12 shader cores (EU) and different clock speeds. Non demanding games should be playable with these graphics cards. » Further information can be found in our Comparison of Mobile Graphics Cards and the corresponding Benchmark List. N3060: SoC with an integrated dual core Atom processor clocked at 1.6 - 2.48 GHz, an Intel HD Graphics GPU and a dual channel DDR3L-1600 memory controller.» Further information can be found in our Comparison of Mobile Processsors.